“Hank” is by top barrel horse producing sire, Letta Hank Do It, who was a futurity, derby, WPRA, and AQHA point and money earner, with proven ability in roping and cutting. Letta Hank Do It is a champagne palomino, by Snazzy Hank SI 104, (half brother of the dam’s sire of Marlene McRae’s Fols Classy Snazzy). Letta Hank Do It is a maternal half brother of Fire Water Flit, both out of the legendary Slash J Harletta; recognized as an all time maternal producer of barrel horses. 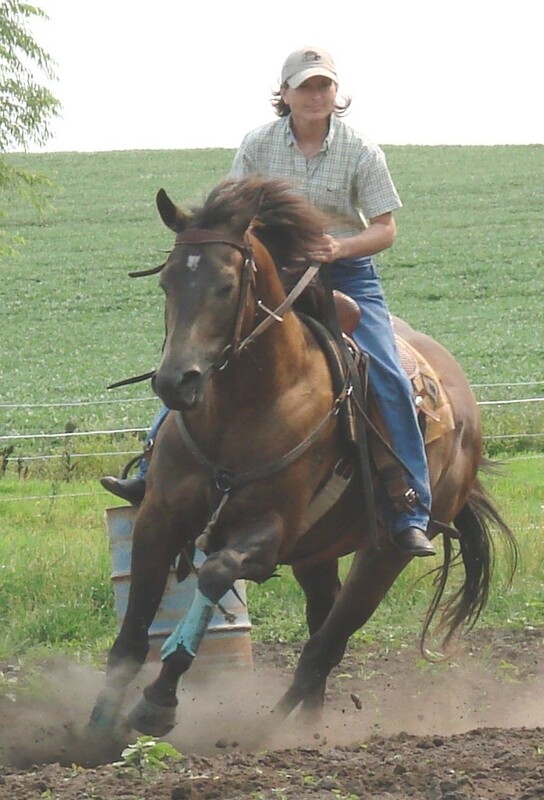 An accomplished barrel horse, Slash J Harletta was an AQHA World Champion and NFR Qualifier. From 8 foals she produced three NFR Qualifiers and five other offspring that have been futurity and/or derby champions. (Barrel Horse News, November ’99.) Slash J Harletta’s foals have earnings of well over $500K. 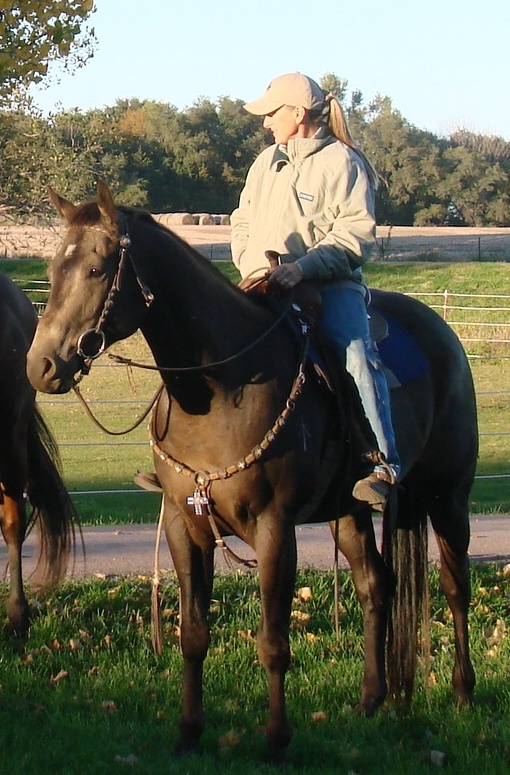 “Hank’s” dam is 26.56% Three Bars, and is true black as were both her sire and dam. Her sire, Passum Magnolia, was one of the last living sons of Magnolia Bar. Her dam carries the blood of The Ole Man, Jayhawker Bar (black), Boston Mac (Black), and Carver Bar.